CLICK ON THE SLIDE SHOW BELOW TO CONTROL THE SHOW! PAUSE, PLAY, NAVIGATE FORWARD AND BACK AND SKIP AROUND! Let's take a look at the unique properties of Carbon that give rise to the vast majority of molecules necessary for life. The number of electrons in the outermost shell determines an atom’s chemical properties. A carbon atom has 4 electrons in a valence shell that holds 8. 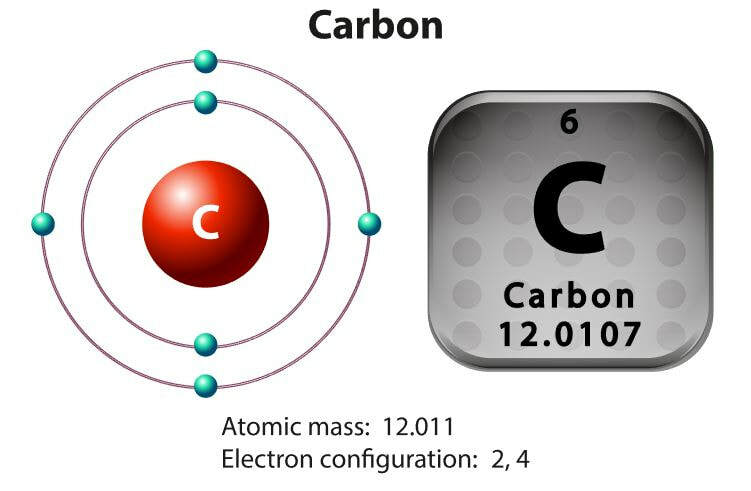 Carbon completes its outer shell by sharing electrons with other atoms in four covalent bonds. This allows for a huge variety of possibilities and possible structures. This is why we observe large organic molecules with complex and elaborate shapes. Life’s Diversity is due to being carbon-based. Most of the molecules in cell makes are made up of carbon atoms bonded to one another and to atoms of other elements. Carbon is able to form large and complex molecules, which build the structures and carry out the functions required for life. Carbon-based molecules are called organic compounds, and they usually contain hydrogen atoms as well. The shape of the organic molecule (and any molecule for that matter,) determines its function. Carbon chains form the backbone of most organic molecules. The diagram at the end of this section illustrates some of the possible shapes organic molecules can take. These molecules can differ in length and angle. For example, they can be straight, branched, or arranged in rings. Carbon skeletons may also include double bonds, which can vary in number. Hydrocarbons are composed of carbon and hydrogen. In nature, hydrocarbons take the form of crude oil and natural gas. That being said, hydrocarbons are the primary energy source for most of the world today. Hydrocarbons can be found in living organisms in the form of hydrocarbon chains within certain molecular structures. A good example of this are the hydrocarbon chains found in lipids (fats) that provide fuel to your body. Hydrocarbons are very good at forming covalent bonds with other hydrocarbons to form long chains or rings. ​ There are two types of covalent bonding; polar and non-polar. In any covalent bond, electrons are SHARED between the bonded atoms. In a polar covalent bond, these electrons are unequally shared and they spend more of their time towards one of the bonded atoms than the other. This results in a "polar" molecule which will carry a partial negative near the atom with the higher electronegativity value (and, thus, the electrons preferentially will be located by that atom more often) and a partial positive charge at one end in which the electrons spend less time. In hydrocarbon chains, H and C have very similar electronegativties and from non-polar covalent bonds, and when C binds to another C they share their electrons completely equally since they have the same electronegativity value. We consider any bond between two elements with the same or similar electronegativities (within ~ 0.30) a non-polar bond. Hydrocarbons are considered hydrophobic meaning they are “afraid” of water! Hydrocarbons are the world's leading source of electrical and thermal energy, due to the amount of energy produced when burnt. This burning is a combustion reaction in which oxygen from the air becomes a reactant with the hydrocarbon, to form a new chemical product. Common products of hydrocarbons combustion reactions include steam, carbon dioxide and heat. ELECTRONEGATIVITY = Electronegativity is the tendency of an atom to attract electrons towards itself. ​We know from C position on the periodic table, that it is in group 4. all group 4 elements react in such a way that they can form up to 4 bonds. The atomic number of C is 6. The first shell can hold up to 2 electrons. The second shell can hold up to 8 electrons. Atoms have a tendency to ionize in such a way that their outer-most shell is filled. They can do this either by gaining or losing electrons, but it will always take the “path of least resistance”. Organic compounds are those that have carbon atoms. Remember carbon? 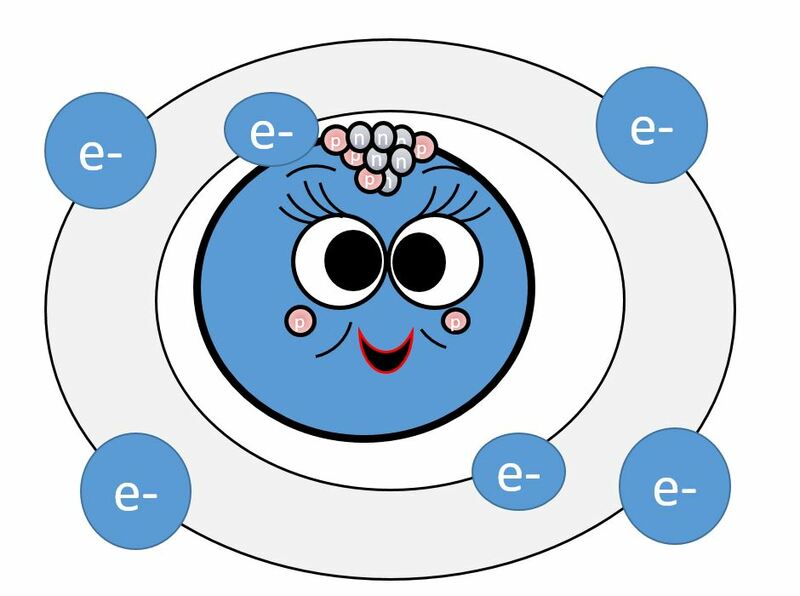 It has 4 Valence electrons = 4 electrons in the outer shell = 4 electrons are available for bonding. Thus, carbon is able to make up to 4 strong bonds. carbon-based molecules can form a wide variety of shapes and long chains. Carbon is the element that we believe is necessary for LIFE. The first organic molecules were small . they were carbon-based molecules made up of only a few atoms. These small carbon-based molecules evolved to combined with other simple molecules to form more complex molecules. Over many years and probably trillions and trillions of chemical reactions, more complex molecules, and more stable molecules, formed. All living things consist of organic molecules, centered around the element carbon. Organic molecules evolved before cells, perhaps as long as 4 billion years ago. Complex molecules can be formed by stringing carbon atoms together in a straight line or by connecting carbons together to form rings. The presence of nitrogen, oxygen, and other atoms adds variety to these carbon molecules. How did these carbon-based molecules necessary for life first form? The first organic molecules formed about 4 billion years ago. Scientists believe lightening sparked chemical reactions in Earth’s early atmosphere. The early atmosphere contained gases such as ammonia, methane, water vapor, and carbon dioxide. Paleolightning is the study of lightning activity throughout Earth's history. Some studies have speculated that lightning activity played a crucial role in the development of not only Earth's early atmosphere, but also early life. Lightning, a non-biological process, has been found to produce biologically useful material through the oxidation and reduction of inorganic matter. Scientists hypothesize that this created a “soup” of organic molecules from inorganic chemicals. In 1953, scientists Stanley Miller and Harold Urey used their imaginations to test this hypothesis. They used a mixture of gases to represent Earth’s early atmosphere. Then, they passed sparks through the gases to represent lightning. Within a week, several simple organic molecules had formed. Complex molecules can be formed by stringing carbon atoms together in a straight line or by connecting carbons together to form rings. The presence of nitrogen, oxygen, and other atoms adds variety to these carbon molecules. Aspartame is a common sugar substitute used in brands like Equal, and Nutrasweet, as well as diet soft drinks and chewing gums. Aspartame is not a sugar at all. It is a dipeptide (two amino acids joined together, as in a protein). But it's is a very slightly modified dipeptide. 180 times as sweet as sugar (sucrose). In this case, the artificial sweetener sucralose looks very similar to the natural sugar sucrose. Sucralose is in some soft drinks and is marketed as an alternative to aspartame. MAYO CLINIC - Research has shown that high-fructose corn syrup is chemically similar to table sugar. Controversy exists, however, about whether the body handles high-fructose corn syrup differently than table sugar. At this time, there's insufficient evidence to say that high-fructose corn syrup is any less healthy than other types of sweeteners. It is known, however, that too much added sugar of all kinds — not just high-fructose corn syrup — can contribute unwanted calories that are linked to health problems, such as weight gain, type 2 diabetes, metabolic syndrome and high triglyceride levels. All of these boost your risk of heart disease. Triglycerides consist of three fatty acids bonded to a glycerol molecule. Fatty acids are hydrocarbons (chains of covalently bonded carbons and hydrogens) with a carboxyl group (–COOH) at one end of the chain. A saturated fatty acid the maximum possible number of hydrogens bonded to it. The carbon back bone contains only single bonds. Unsaturated fatty acids have less hydrogen bonded to it due to having one or more double bonds. This double bond is a the CIS configuration. “Transfats” are unsaturated fats that have one or more double bonds in a TRANS configuration. [CIS (same) vs TRANS (opposite)] CIS fats are healthy fats that promote good cholesterol. TRANS fats, on the other hand, can be harmful and can contribute to a decrease in cardiovascular health. Examples of TRANS fats include substances that are made from unnatural sources like hydrogenated oils. In November 2013, the U.S. Food and Drug Administration (FDA) put forth a mandate that food companies eliminate TRANS fats from their products over time. Chemistry may have brought forth “life”. One monomer loses a hydroxyl group (OH-) and the other monomer loses a hydrogen (H) atom to form H2O. As this occurs, a new covalent bond forms, linking the two monomers. Cells not only make macromolecules but also have to break them down. Most of the organic molecules in your food are in the form of polymers that are much too large to enter your cells.